At Lausanne, the Fondation de l'Hermitage honors the splendor of pastel. The exhibition Pastels from the 16th to the 21st century shows, through 140 pastels, all the beauty, finesse and extreme complexity of this art. In those centuries where pastels rub shoulders with painting, the pastels of Degas occupy an essential place, all cases for the 19th century. In this exhibition in Lausanne, the Fondation de l'Hermitage has chosen a dozen who paid for these Cassatt, Boudin, Sisley, Millet, Vuillard, Maurice Denis, Guillaumin, Tissot, Zandomeneghi, Marquet, Morisot and Whistler. The competition is tough! So many pastels that established this art in the 19th century without forgetting the sublime pastellists of the 18th century such as Liotard, Quentin de La Tour and Perronneau. 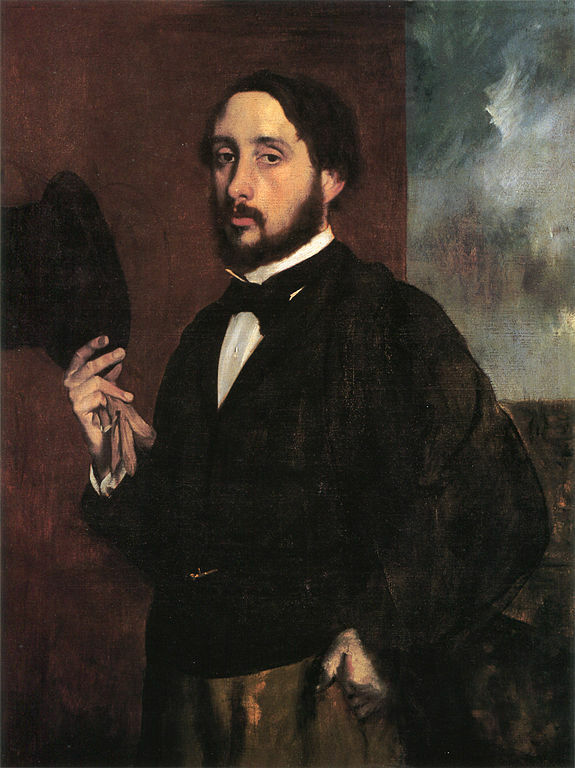 In the 19th century, Degas signed a landmark page of this art. No doubt this is where he excels the most with his pastels on monotypes. The choice of the Fondation de l'Hermitage is, on the understanding, on these Dancers at rest of 1898 (Read the complete notice of this work here) which is part of its famous collection. 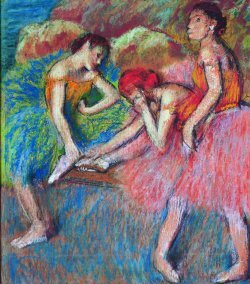 But dozens of other Degas pastels are not left out from the collections of Emil G. Bührle, Rudolf Staechlin, but also French and American ones, public or private. Thus the Orsay Museum has two Danseuses au repos en bleu performed at the same time as the version of Lausanne. The same subject can be found in various museums such as in Detroit, in Philadelphia and in the Judith and Bernard Biriskin collection in California. All the pastels of the exhibition are a delight and Degas is no exception. Will pastel become fashionable again? With Mary Cassatt, the Jacquemart-André Museum in Paris has also countersigned this page.